One of the earliest obtainable modern maps of greece, Macedonia, Montenegro, Albania, the western coast of Asia Minor, and northern Crete, from one of the most important map makers of the 16th Century. A good example of Gastaldi' the first edition of Gastaldi' rare 2-sheet map of greece, for which Gastaldi was granted a privilegio on July 29, 1560, at the same time as he received papal priviledges for his maps of Italy and Lombardy and 2 of the 3 sheets in his map of Asia. The map of Greece was engraved by Fabio Licinio and included a separately printed index of place names, which would have been available either as a broadside or a pamphlet. While the title is simlar to Nikolaos Sophianos's Totius Graeciae Descriptio, first publshed in 1544 and would certainly have been known to Gastaldi, the map is a significant departure from Sophiano's presentation and is significantly revised in certain parts of the map. The map became the most important map of the region published in the 16th Century, and was later copied by other Lafreri School map makers including Bertelli and used by Ortelius as the source for his map. 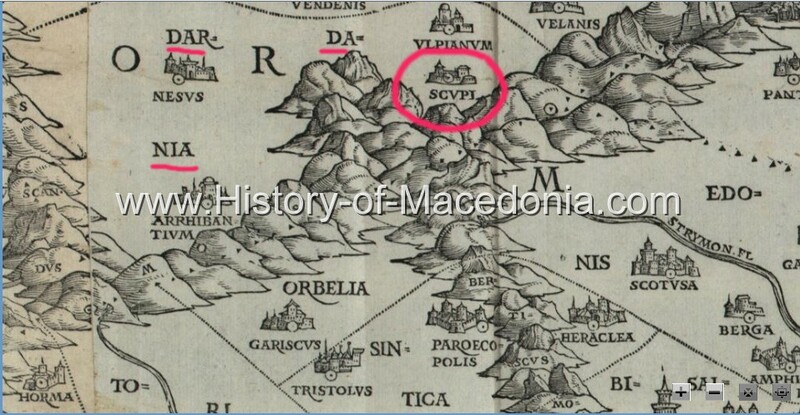 Among other things, the map provides one of the more realistic geographical maps of Macedonia, using for the first time many Macedonian place names, including the Vardar River, Skopje, Mt. Skopska Crna Gora, Tikvesh Valley, Demir Kapiya, Bitola, Kratovo, Struga, Ohrid and Ohrid Lake, Prespa and Prespa Lake, Prilep, Kostur, Lerin, Voden and Resen. Last edited by DedoAleko; 08-28-2015 at 03:27 AM. 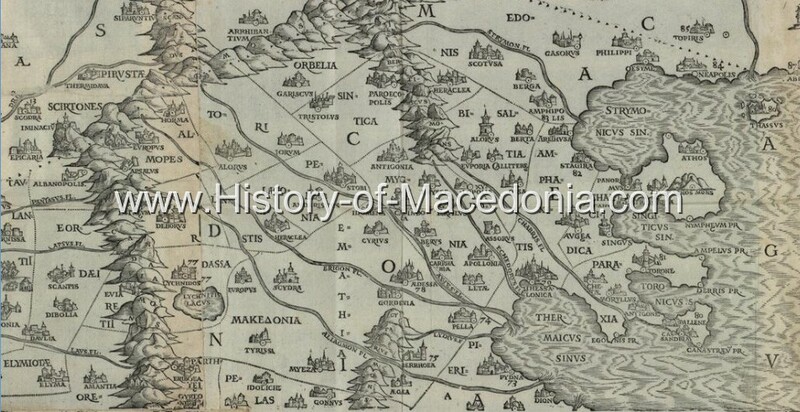 I am having trouble locating Ohrid, Bitola etc as the description says. if you look towards the left its there. That's because you are looking where they should be. 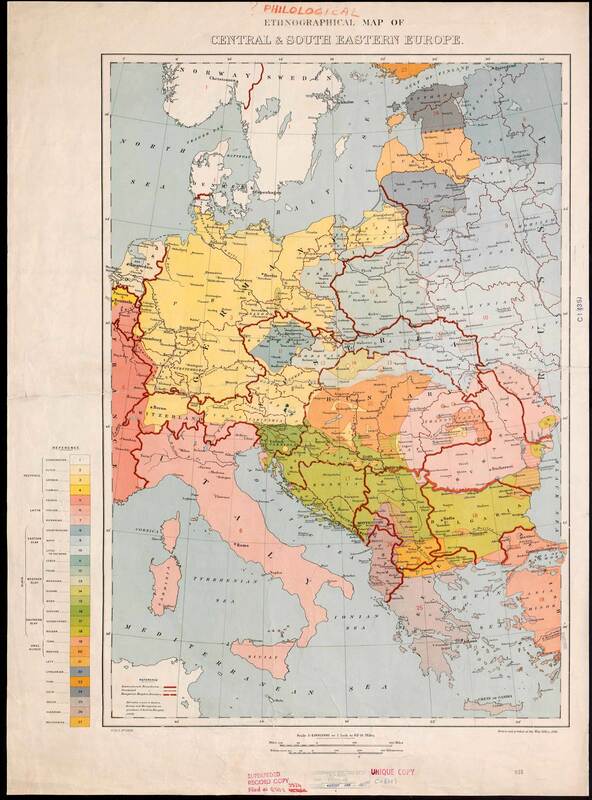 Look at the Atlas horizontal line BELOW Chalcidice. Now move left and left and you will find Ochrid and Struga!!! More amazingly one horizontal line further BELOW this must be Ioannina and its' lake. Is that possible? We're lucky he didn't put Crete above Macedonia. Who was that guy? Marco Polo? It's a pity we can not read this. It would be both funny and interesting. Bitola is placed correctly, written as Vitolie (?) as far as I can read. Last edited by Amphipolis; 08-29-2015 at 11:54 AM. 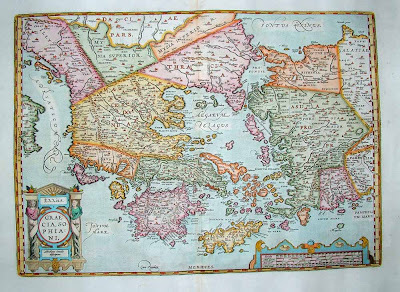 This is a Greek map of the same period (1545) by Nicolaus Sophianos. These are the most zoomed parts one can find on-line. (From the source you can see on the images obviously). Last edited by Amphipolis; 08-29-2015 at 10:39 AM. Now available on-line. 400 pages of Macedonia's ethnic maps. I don't think this one has been posted yet. Map from 1797 in Atlas Classica by English cartographer Robert Wilkinson.